Auto-generate a unique password for each new subscriber to access your password protected page once they subscribe to your ActiveCampaign email list. This password will be sent to your subscribers via ActiveCampaign’s email campaign or automation email on your workflow. You will need to enter your ActiveCampaign API credentials (API URL and Key) in advance to activate our extension successfully. Password protect your private page using our Password Protect WordPress plugin. Select this password protected page under PDA ActiveCampaign settings, which tells our plugins to auto-generate a password for each subscriber to access it. 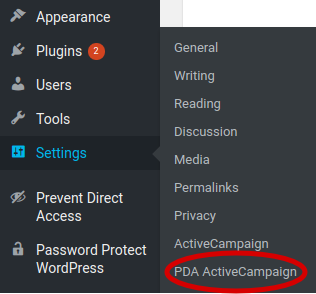 Step 2.1: Go to PDA ActiveCampaign settings page under Settings in the right sidebar. 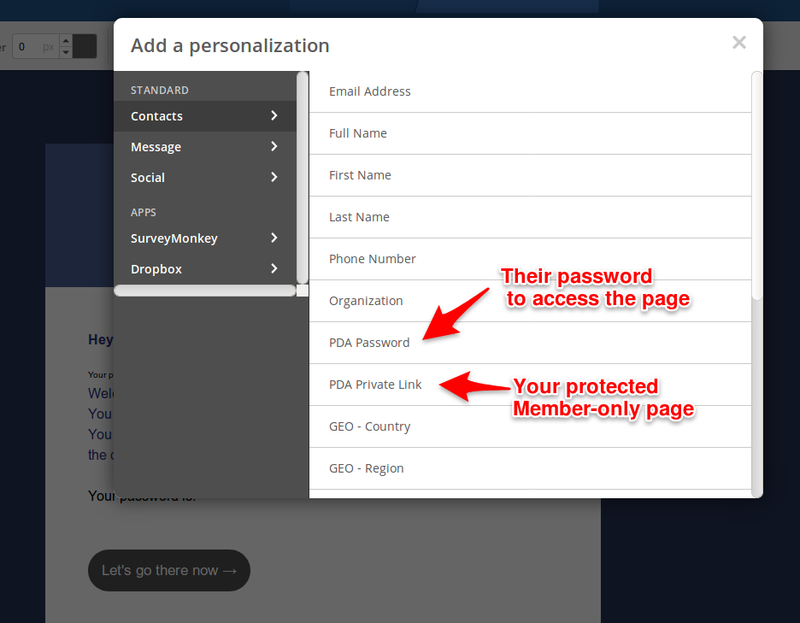 Step 2.2: Choose the password protected page or post. 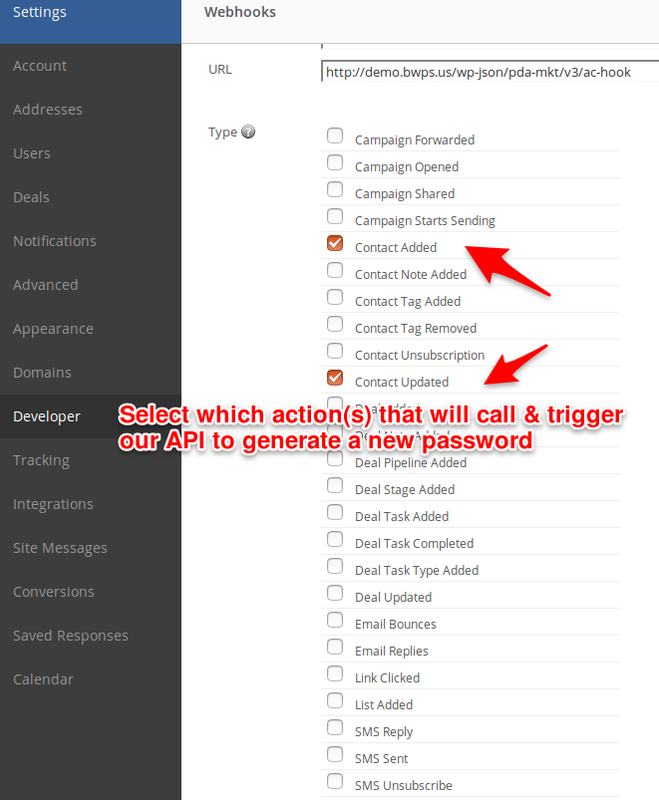 Note: Once you’ve installed and activated our PDA ActiveCampaign Integration extension successfully, we actually create 2 custom fields on your ActiveCampaign’s user data, i.e. PDA_PRIVATE_LINK and PDA_PWD and a webhook. 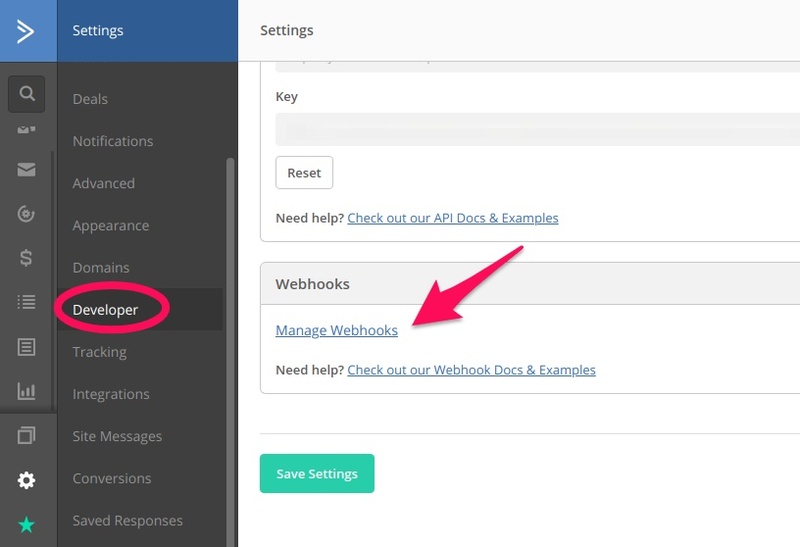 Manage and edit your webhooks under Settings > Developer of your ActiveCampaign account page. You can choose which actions that will trigger our API to generate a password to access your private page. “Contact Added” and “Contact Updated” are the 2 default actions. These fields will store your chosen private page on step 2 and the auto-generated password when the following actions occur. Embed the password protected page and auto-generated password to your ActiveCampaign’s email template. Step 3.1: Create an ActiveCampaign’s email campaign or automation email on your workflow. 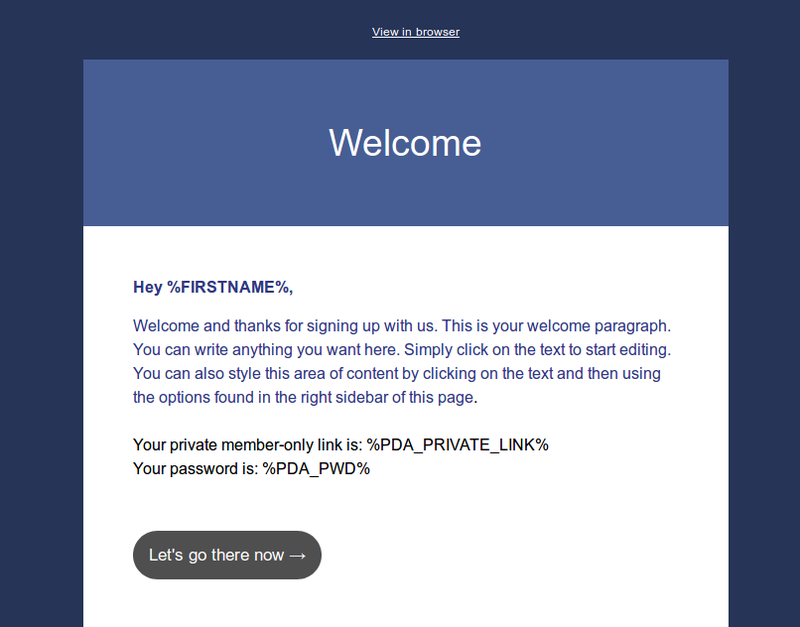 You will send a unique password to access your Member-only page to your subscribers via this email. 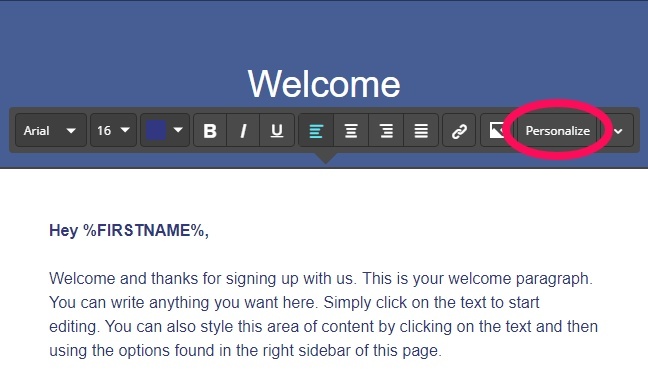 Step 3.2: Select Personalize and add our definite variables to your email template (Click on content to display this toolbar). You should see our plugin’s personalization tags under “Add a personalization” popup which named PDA Password and PDA Private Link. Step 3.3: Your email template will look something like below once you embed our pre-defined “variables”. Save your email template. That’s all you have to do. Now let our plugins take care of the rest and work their magic for you.